Thank you so much for the sweet words. My father-in-law is not expected to recover from this stroke so now comes the waiting. Poor hubby has been with him since day one. I decided to step back from everything until our lives are sorted out. It's been very odd to pull back from journaling here daily but, in a way, good. Know what I mean? 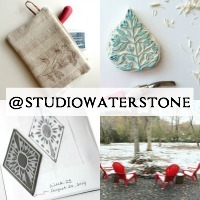 The first few days I really couldn't focus on anything at all but then I crept back into the studio and began to play. A small recycled leather cross body has been on my wish list, so I worked up a prototype which is, in my personal opinion, perfectly sized for running around. Just a small wallet, cell, pen and lip balm with a small back pocket for your keys. It's still a work in progress but I'll be making some for the shop soon. What do you think? Suggestions? Please feel free - I love hearing your opinions. Lori, I am so sorry to hear this..so very difficult for all of you. You will remain in my prayers. Thank you for updating us. I understand exactly what you mean about stepping back. Anytime there is a change or shift in the rhythm of life it's good to slow down in order to be fully present. My heart goes out to your hubby, and prayers for you and your family are assured. I'm a small bag AND cross bag girl so this bag is very attractive to me. I like the simplicity of the design yet its also very classy. 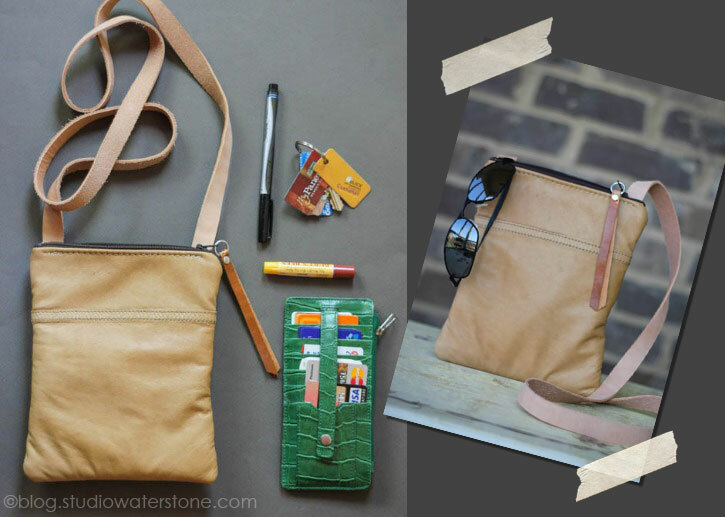 The main difference between the design of the bag I use now and yours, (aside from color, size and so on!) is my bag has a small pocket on the outside for keys. And that may be because my bag is a bit bigger. I love the color you chose! It is difficult to watch any illness progress when there is no "cure." It is important to be there- I do think a presence helps. It is also important to find a peaceful place to relieve the stress of being there. When in the same place I always knew that the one I loved would want me to find the right balance. My heart goes out to you in this difficult time. so sorry to hear the news. watching someone we love struggle with chronic illness is never easy for anyone. i will be praying for your family during this difficult time. as for your little bag - YES - i love it! i am a little bag carrier. i would love to see an outside pocket or two for my keys, shopping list, etc. I am so sorry to hear about your father in law. Sending good thoughts to you and your hubby. PS. The bag is perfection, as usual! Prayer and good wishes to you and your family. I too am in the same holding pattern with my dad....my mom died in Feb and he soooo wants to go. He is really making our life difficult. I am afraid we are going to have to put him in a facility for his own safety. My sister and I aren't equipped to handle such things as he needs. Keep up the good work. Love the purse!!!!! I'm so very sorry to hear about your Father-in-Law and am sending thoughts and prayers to you and your family at this difficult time. It's good to step away for a bit when things take a turn and you're attention is needed else where - especially where family is concerned. So sorry to hear the bad news., just thinking of you during this hard time. Its hard to step away but so needed sometimes. I love the bag as always. I'm so sorry to hear about your FIL. Peace and good thoughts to you all. You must be reading my mind on the bag front. I've had a small cross body on my to-do list since I used the heck out of one on my NYC trip last winter. I've got to get on it! Since I'm back in the diaper bag phase, it's nice to have a small bag to toss into a larger one. i'm so sorry to hear about your Father in Law, Lori. xoxo sending up a prayer for peace and healing. Your bag is lovely. I would love one! Still sending good thoughts, prayers and peaceful wishes! I wish you strength at this painful and challenging time of your lives. It is important to take a break from it occasionally though, if you can.... 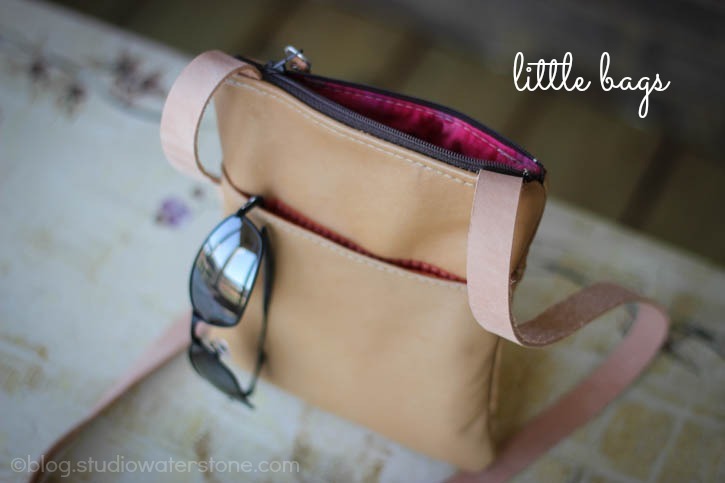 I love the little bag you made... My things often get lost in a bigger bag and it is so frustrating scrabbling around for that one small thing at the bottom. Hope to see more of them. I think it's lovely Lori... I wish you made a version in sturdy cloth. I'm always looking for cloth handbags. I'm so sorry about your father in law. I'll offer prayers for him and your family at this difficult time. Did you ever find anyone to take on I heart macro? If not let me know. I think maybe I could do it if no one else took it on. You can contact me via email through my blog, but I'll be away next week. Wishing you and your beloveds strength and compassion. So sorry to hear about your father-in-law. I know this is a trying time for your family.